July 31, 2018, 1:04 p.m.
YouGov Omnibus’s targeted research team recently asked people across the UK if they had any noteworthy hobbies. We found that 3% of the population regularly brew beer or make wine at home. Although there has been a boom in craft beer over the last few years, half (50%) of those surveyed who brew their own beer (or make their own wine) have been doing so for more than a decade - indicating that their hobby is not a recent fad. 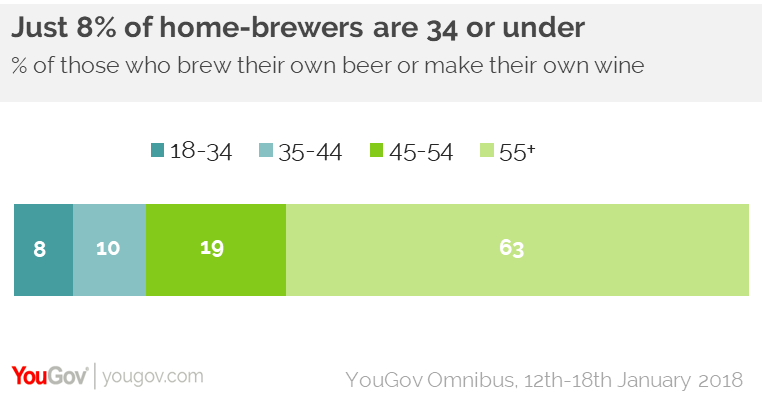 Home-brewers are much more likely to be male and 55 and over. More than three quarters (78%) are men and in terms of age, 63% are over 55. Just 8% are aged 34 or under, with around three in ten (29%) aged between 35 and 54. Most participants are regular brewers with two thirds (66%) doing it at least once a month. Around three quarters (75%) of those spend up to four hours a month on their pastime, with a small group of devotees (3%) spending more than 20 hours a month brewing beer or making wine. Many see home brewing as an inexpensive hobby, with the majority (64%) spending £10 or less per month producing their own alcohol. The research shows that it’s also a fairly solitary leisure pursuit. In contrast with other activities that people take up in order to meet likeminded enthusiasts, 96% of those who produce their own beer or wine are not members of a club, and of those who are in a relationship over half (57%) say their partner doesn’t take part. 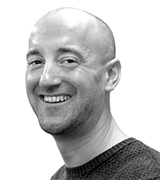 Why beer or wine making? The main reasons home-brewers got into their hobby is either curiosity or having read a book on the subject that piqued their interest. The next most popular route in is being introduced to it by family or friends. Some wanted to save money on buying commercial alcohol, and other economically-minded brewers needed a way use up extra fruit they had in their garden or allotment. A few respondents took up the hobby after they retired to the countryside and found themselves with extra room. Home-brewers surveyed said that doing it gives them a sense of happiness (68%), pride (44%), and fulfilment (32%). What do friends and family make of the hobby? Home-brewers say their friends would describe their hobby as “interesting” and “thrifty” but also laborious, slow, and a waste of time. This tallies with the sense of satisfaction people say they get from taking the time and effort to brew their own beer or make their own wine. However, unlike many hobbies YouGov asks about, many home-brewers don’t think their hobby is unusual – with just over a third (35%) thinking that it is.